As is often the way of things, it started with an argument. Series 11 hate is common, at least in the dark corners of the internet I choose to inhabit. There are all sorts of reasons: underused companions, nondescript monsters, an ineffective Doctor. There are also complaints about specific grievances, generally huddled together under an umbrella emblazoned with the words “BAD WRITING”. (On another day it would be ‘WOLF’, so I suppose I should be grateful.) But this particular thread was far more specific – dealing, as it did, with the sequence in which Ryan, Graham, and Yaz were introduced to the TARDIS, at the end of The Ghost Monument. You remember. There is momentary gender confusion and a custard cream dispenser, which rather reminds me of a job interview I had back in 2006. The whole thing is a bit naff, but we really should be used to it by now. And the complaint? None of the companions – not one – announces that the TARDIS is bigger on the inside. Bang! It’s the end of the world. Give us four pints of beer and a passing Vogon spaceship. This is a different episode, but we really like this photo, so there. I have many weaknesses, and I’m afraid that this is the equivalent of slapping me in the face with a glove. An incredulous statement is always easier to counter than a subjective opinion: it’s one thing to complain about the absence of a thing because you miss it, but when you try and validate this with false information then I’ll be running straight to the episode transcripts, or at least the TARDIS Wiki. Except I was on the school run, stomping across a muddy field on a cold January afternoon, anxiously avoiding eye contact with other parents so I wouldn’t be dragged into mindless small talk, and so someone else had to prove him wrong instead. Still, the whole thing got me thinking. What does the Doctor have to say about the inner workings of his ship? Logopolis aside, how much does he really understand them? And to what extent do we define the companions – both in terms of their relationship with him and their relationship with us – by how they react to that reveal? That this is the only explanation we get, at least for now, is down to two factors – the Doctor is a crotchety old man who doesn’t like his home being invaded, and in all likelihood Newman and Lambert didn’t have a clue themselves. 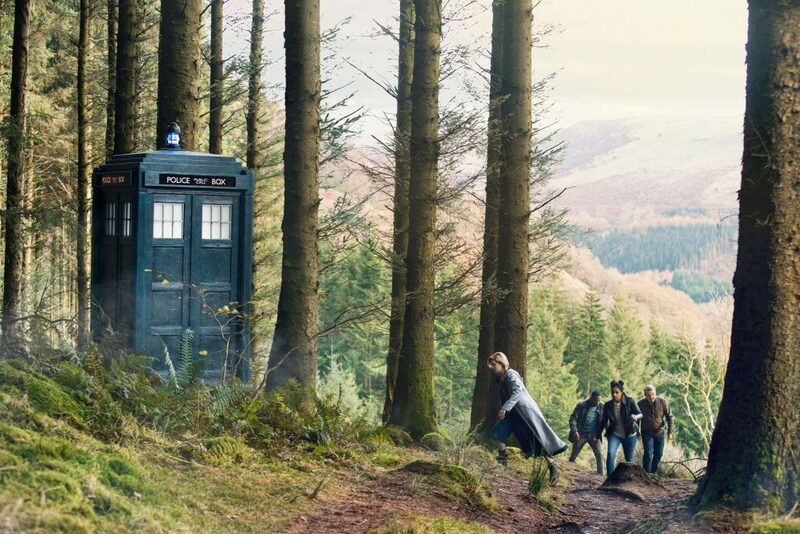 It is not for us to know why the TARDIS is bigger: it is enough for us to know that it can house a decent-sized library and a coat stand, and that it’s down to Science. Things change, but only up to a point, and the companions really don’t. 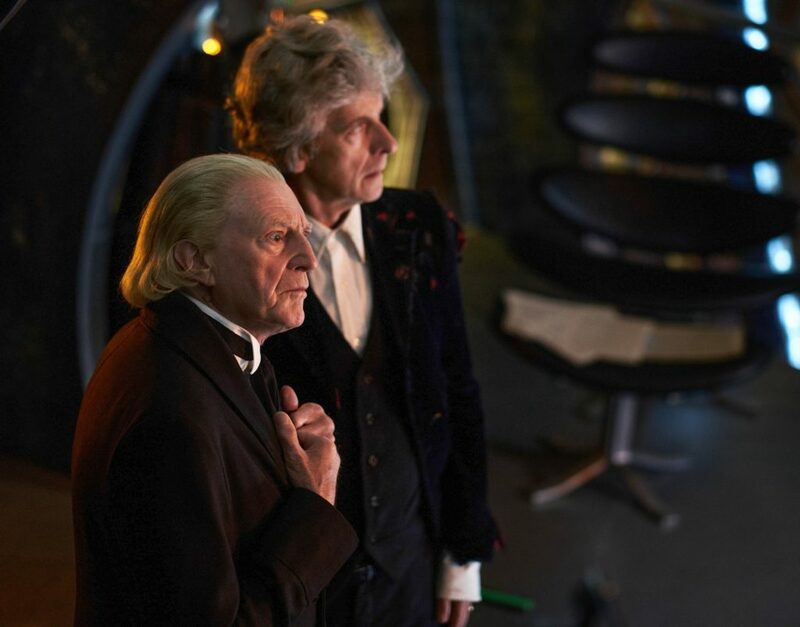 By the time we get to Steven (which is only a couple of words shy of being a Jimmy Webb song) Hartnell is rather less irascible, if no more prone to explanations – “That,” he memorably quips, “is a chair with a panda on it” – and the young Mr Purves, despite playing a seasoned space traveller, views his new surroundings with the same healthy skepticism he recklessly abandoned when he later joined Blue Peter. The Doctor does, at least, make some attempt to explain things to poor Leela, in a scene that begins with her painstakingly bouncing a yo-yo in the mistaken believe that it is helping the TARDIS fly: it is a joke that would be repeated some 30-odd years later, with less success, when Mickey holds down a seemingly-innocuous button for half an hour. Baker’s initial Pygmalion dabblings use two boxes in much the same way that Dermot Morgan used toy cows when unsuccessfully trying to illustrate size differences to Ardal O’Hanlon in a 1995 episode of Father Ted. It almost works. Perhaps Baker is a better teacher – or perhaps Leela is simply a better student, even if she does find it silly. In many ways, there’s a lack of realism about it. Are we really supposed to buy into Tegan’s assertion that her new surroundings are simply ‘very peculiar’? 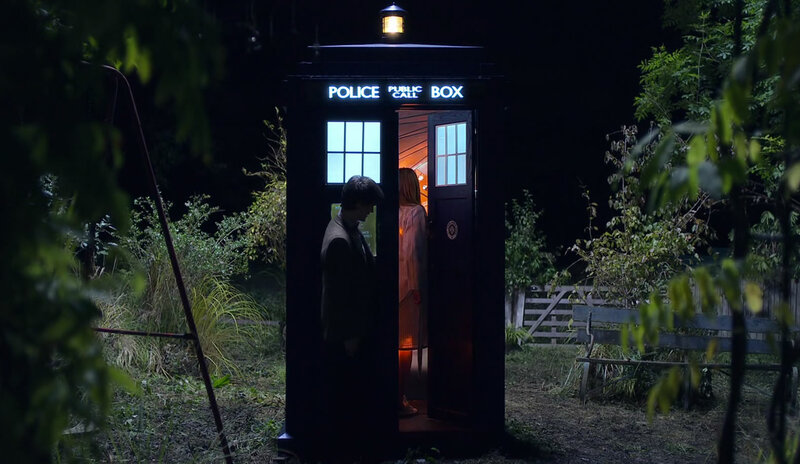 You can take only so much of Russell T. Davies’ kitchen sink dramas before the idea of the rounded, domesticated companion begins to wear thin – nonetheless he noticed, as many of us did, that much of the time the companions were there so the Doctor would have someone to bounce off, rather than being allowed to become people in their own right. There are exceptions. Consider Ace’s incredulous reaction, for example, in Dragonfire when Mel tells her that the workings of the TARDIS are “difficult to explain”. It’s an explanation that Mel herself presumably received at some point but that we never got to witness, given that the first time we see her she’s jumping around the console room like a flame-haired fitness instructor: Lizzie Webb in space, all perms and endorphin-fuelled enthusiasm. But as with many tropes, it’s Nu Who that really starts doing this in earnest. 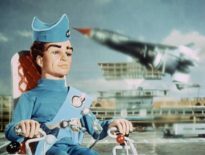 It happens a lot, actually: the playground favourite ‘Doctor Who?’ received largely sporadic mentions before the show was revived, and catchphrases were never really the Doctor’s thing, whatever people tell you. More to the point, we’re now in the age where Bigger On The Inside becomes a metaphor for the human condition – “You’d better be,” says the Doctor to the reformed Jack at the end of The Doctor Dances, a sentiment that would be echoed by the sentient TARDIS some years later in The Doctor’s Wife. There’s also a compelling argument to suggest that Moffat was getting thoroughly sick of the whole thing by the time he completed his run. He stretched it to saturation point and beyond, to the extent that it’s difficult to point the finger at Chibnall for seemingly abandoning it. The crunch point is arguably Series 10, halfway through The Pilot, and the reckless pursuit from a watery monster that follows the crew like Droopy the dog in Dumb-Hounded, where the interior of the TARDIS is the only sanctuary. Bill’s failure to realise exactly what’s happened (“Is this a knock-through? 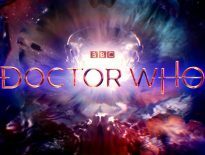 ” she wonders, while the Doctor and Nardole fiddle with the controls) is nothing short of ridiculous, but very funny, not to mention characteristically rational; faced with something strange, she’ll find a sensible explanation without losing her head. It’s one of the many reasons I love Bill, but you do get a sense that her creator is deliberately killing the joke. And perhaps that’s it. Perhaps it is not so much the wording of the reaction as the need for a reaction – verbal or otherwise – of some sort, if only so we know what we’re looking at. The jury is out on the accuracy of first impressions – Kafka found them unreliable; Andrew Crumey wrote that they were “the truth, and all that follows is merely the excuse of memory” – but they’re certainly important, and much of how we judge the companions is down to how they behave in that first reveal. And we do judge them, these poor old fictional constructs, these projections and enigmas and narrative devices that lapse, just occasionally (and not as often as Davies wanted) into legible facsimiles of real people. 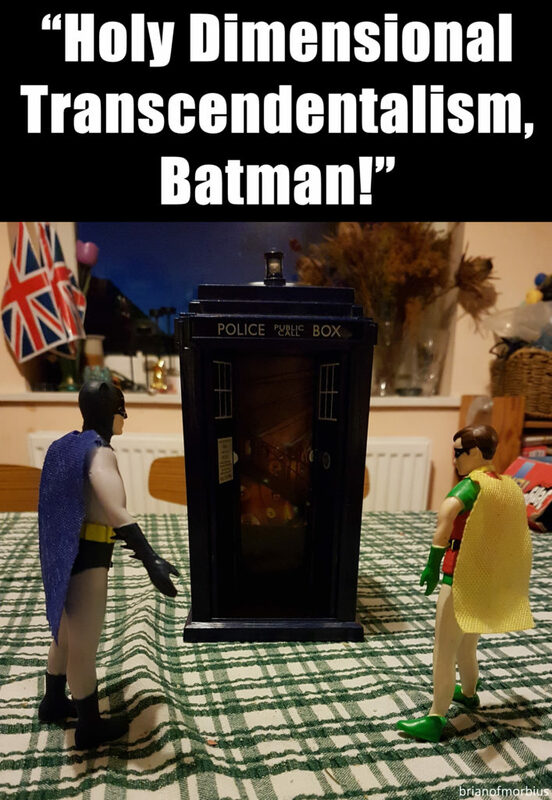 We judge them because they’re the ones who get to have a go, while we’re sitting at home, fated to be the passive observer, graced with limited omniscience and awareness of dramatic irony, but forever stuck the wrong side of the TARDIS doors. Unless they schedule another set visit, anyway. Then I’m buying tickets, and I’m taking my panda.